What can we say, our Shorti Quick-Switch patchbay line has exceeded all expectations. What makes the “Shorti” so unique? and grounds on a pre-jack basis. The fact that you can re-configure those setting easily. 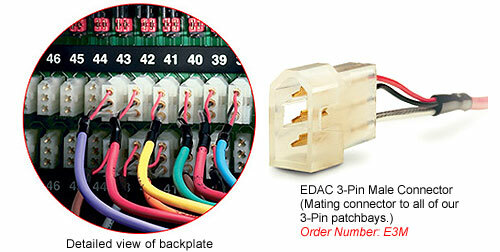 The mating connector and pins are supplied with all units. All Shorti units are available from stock. The WEP-962-SH 2x48x2RU is the most common unit. Digital ready, these units are available in 2RU, 1.5RU, and 1RU. At $996, your won't find a better deal.